Walt Disney World experimented with many different night-time shows at EPCOT. The first was Carnival de Lumiere which was sponsored by Apple and ran from October 1982 until the summer of 1983. The major downside to this show was it could only be viewed between the Canada and Mexico pavilions. The next show was A New World Fantasy. This show, too, had a short run from summer of 1983 until late spring of 1984 before it was replaced by Laserphonic Fantasy. Laserphonic used most of the same music as A New World Fantasy. This show ran until 1988. 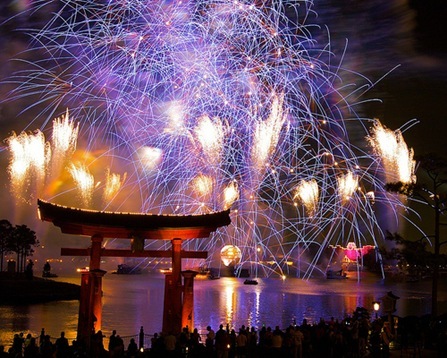 Laserphonic Fantasy was replaced by the first version of Illuminations. Illuminations: Reflections of Earth is the fourth version of Illuminations to be shown in EPCOT. I am not a big fireworks person so I usually don’t stay too close to the presentation. However, I try to stay close enough where I can listen to the music. If that’s not possible and I need an Illuminations fix, thankfully, there is YouTube videos of the show which can be seen below. 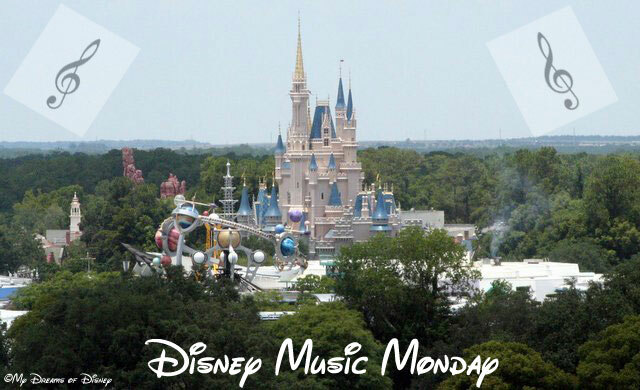 Thanks for taking the time to join me and my friends Mike, from My Dreams of Disney, and Kimberly, from Frontierland Station, as we bring to you another Disney Music Monday.